The workshop is devoted to the following problem of fundamental importance throughout science and engineering: how to approximate, integrate, or optimize multivariate functions. 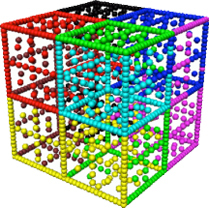 The breakthroughs demanded by high dimensional problems may be at hand. Good methods of approximation arise as solutions of optimization problems over certain function classes that are now well understood in small and modesty large dimensions. In high dimensions, the appropriate models involve sparse representations, which give rise to issues in nonlinear approximation methods such as greedy approximation. 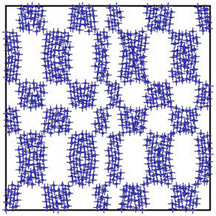 High dimensional optimization problems become intractable to solve exactly, but substantial gains in efficiency can be made by allowing for a small probability of failure (probabilistic recovery guarantees), and by seeking approximate solutions (up to a pre-specified threshold) rather than exact solutions. The contemporary requirements of numerical analysis connect approximation, optimization, and probabilistic analysis. The workshop will bring together leading experts in approximation, compressed sensing and optimization. The fundamental problem of approximation theory is to resolve a possibly complicated function, called the target function, by simpler, easier to compute functions called approximants. Increasing the resolution of the target function can generally only be achieved by increasing the complexity of the approximants. The understanding of this trade-off between resolution and complexity is the main goal of approximation theory, a classical subject that goes back to the early results on Taylor's and Fourier's expansions of a function. Information-based complexity (IBC) deals with the computational complexity of continuous problems for which available information is partial, priced and noisy. IBC provides a methodological background for proving the curse of dimensionality as well as provides various ways of vanquishing this curse. Stochastic computation deals with computational problems that arise in probabilistic models or can be efficiently solved by randomized algorithms. Using IBC background, the complexity of stochastic ordinary (SDE) and partial differential (SPDE) equations have been studied. Topics covered in the workshop will include: adaptive and nonlinear approximation for SPDEs, infinite-dimensional problems, inverse and ill- posed problems, quasi-Monte Carlo methods, PDEs with random coefficients, sparse/Smolyak grids, stochastic multi-level algorithms, SDEs and SPDEs with nonstandard coefficients, tractability of multivariate problems. Discrepancy theory deals with the problem of distributing points uniformly over some geometric object and evaluating the inevitably arising errors. The theory was ignited by such famous early results as Herman Weyl's equidistribution theorem and Klaus Roth's theorem on the irregularities of point distributions. The subject has now grown into a broad field with deep connections tomany areas such as number theory, combinatorics, approximation theory, harmonic analysis, and probability theory, in particular empirical and Gaussian processes. The computational aspects of the subject include searching for well-distributed sets and numerical integration rules. Despite years of research, many fundamental questions, especially in high dimensions, remain wide open, although several important advances have been achieved recently. 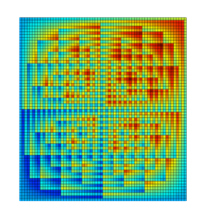 Harmonic analysis provides the mathematical backbone for modern signal and image processing. It also constitutes an important part of the foundation several scientific and engineering areas, including communication theory, control science, fluid dynamics, and electromagnetics, that underpin a much broader set of current applications. Although computer implementation of concepts from harmonic analysis is prevalent, relatively little attention is given to computational and numerical aspects of the discipline in its own literature. Further, many of the most capable young mathematicians working in this area have only modest exposure to the roles of such crucial computational considerations as finite data effects; e.g., How much error is introduced by truncating this infinite-series representation of a function in terms of a frame, and where will it be manifested?